Alphabet Soup Blog » Blog Archive » Alphabet Soup Headlines at MyFonts . . . Again! Alphabet Soup Headlines at MyFonts . . . Again! 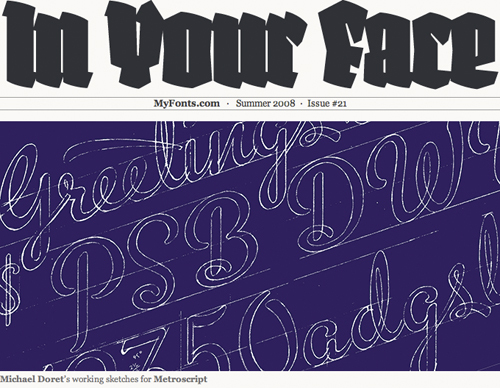 My digital type foundry Alphabet Soup is the headline feature for this Summer’s edition of the MyFonts newsletter “In Your Face“. Not sure why they like me so much, but who’s complaining? !